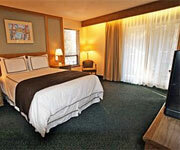 Near the Lake featuring rooms and kitchen-equipped suites, continental breakfast. 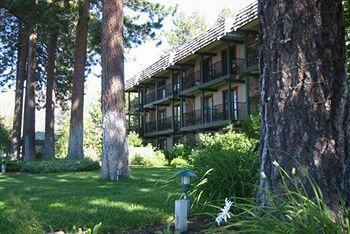 Features: Inn by the Lake South Lake Tahoe provides comfortable lodging in this gorgeous natural setting. 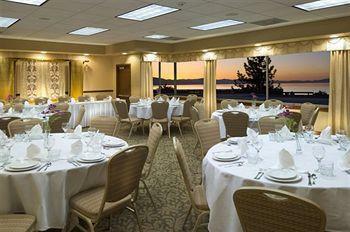 Inn by the Lake Hotel Lake Tahoe treats guests to a large number of complimentary amenities. 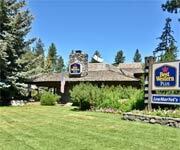 Why We Stay: Inn by the Lake South Lake Tahoe is a great value option that also has notably friendly service. 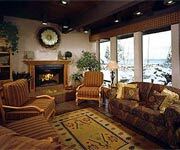 The Amenities: Guests appreciate the long list of complimentary amenities that they get when they stay at Inn by the Lake Hotel Lake Tahoe. 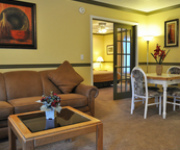 These include free high-speed wifi, access to the lobby computer work station, on-site lake view fitness room, 2-hour bike/snowshoe use, private parking, local phone calls, newspaper, ski/board/bike storage and use of barbeques and picnic areas. 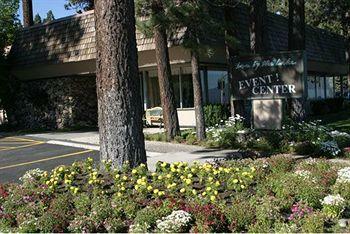 The Service: Inn by the Lake South Lake Tahoe's staff prides itself on being attentive and friendly. 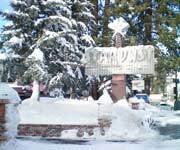 The staff strives to make sure that guests have a wonderful time from check-in to check-out at Inn by the Lake Hotel Lake Tahoe. 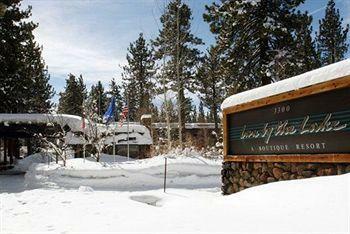 The Value: Inn by the Lake Heavenly is a quality find among cheap hotels in Lake Tahoe. 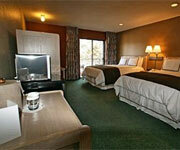 Guests can feel they received their money's worth when they stay at Inn by the Lake Hotel South Lake Tahoe. 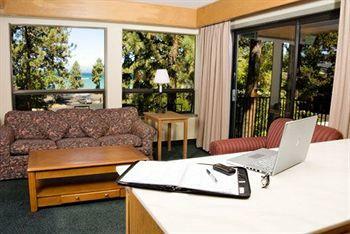 Inside Knowledge: Inn by the Lake Hotel South Lake Tahoe has an 2,000 sq. 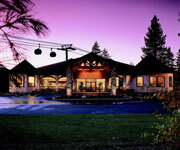 ft. event center for meetings, retreats, weddings, receptions, reunions, and other parties. 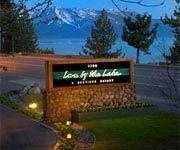 Do Keep It Hot: Inn by the Lake South Lake Tahoe's outdoor spa is open all year round! 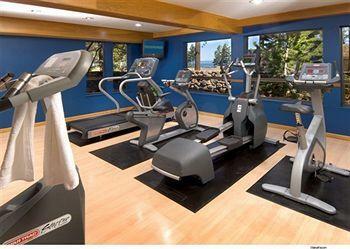 Guests at Inn by the Lake Hotel Lake Tahoe also love relaxing in the pool and dry sauna. 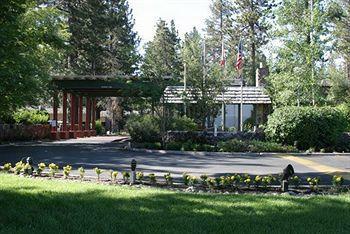 Do Bring Your Dog: Pets are permitted at Inn by the Lake South Lake Tahoe. Your furry friends will receive a pet bed, water bowl, and special treat. Don't Go Hungry: The Bear Beach Café is open for breakfast, lunch, and dinner. 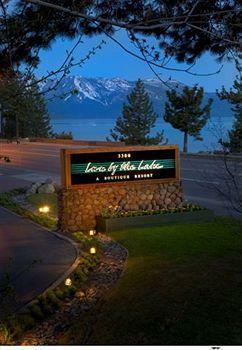 Guests love the hospitality at this dining establishment on Inn by the Lake South Lake Tahoe's grounds. 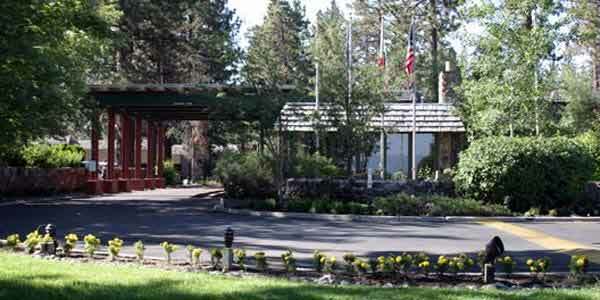 Don't Smoke: All units are non-smoking at Inn by the Lake South Lake Tahoe. 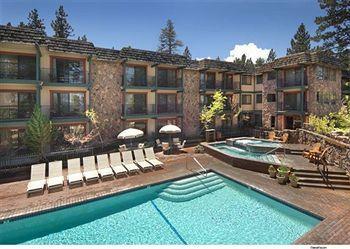 This is a decent choice for a hotel in Lake Tahoe. It’s especially good in the summer time since it’s right across the street from the lake. It’s a little on the expensive side for what it is though. It’s not the Four Seasons or anything, but it serves its purpose. The place is really clean and the people at the front desk seemed pretty friendly. 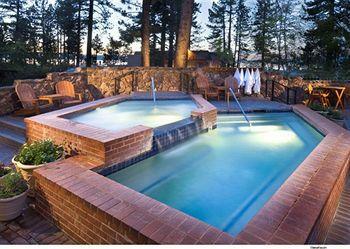 There’s a heated pool for the winter and a jacuzzi, which is always nice. 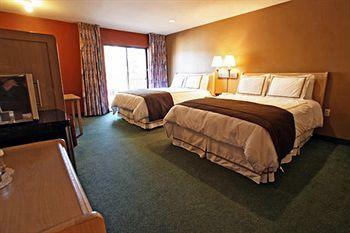 The rooms are actually a really nice size too, except there’s no fireplace, which in Tahoe is a must. This is described as a boutique hotel, but it really doesn’t seem like a boutique hotel to me. The place is outdated and in need of an update. I’d say if you are coming in the summer, then it’s a decent choice. However, I wouldn’t really recommend paying that much to stay in the winter when there are plenty of other better and cheaper options. 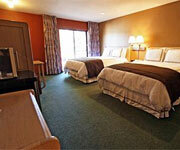 The 1,150-sq.-ft. deluxe two-bedroom suite has two bedrooms and two full bathrooms. The master has a king bed and TV. The second room has a queen bed. For extra guests, there is a queen size sleeper sofa in the living area. 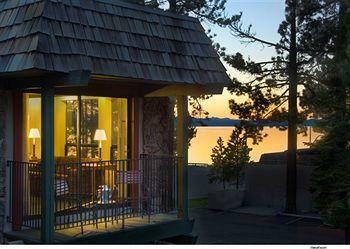 Guests can enjoy gorgeous Lake Tahoe views from the private balcony. The kitchen comes fully equipped with a full size oven/stove, microwave, refrigerator, coffeemaker, pots and pans, a baking dish, utensils, and serving dishes and silverware. There is a dining table where guests can eat. This non-smoking room option comes with Serta Perfect Sleeper Concierge Suite Plush mattresses, plush duvets, robes, an iron and ironing board, expanded cable, HBO, and wifi. This 900-sq.-ft. option has one bedroom with a king bed and TV. It has a Roman tub with whirlpool jets, a shower head and plenty of vanity space. There is a living area with a queen size sofa bed and TV. 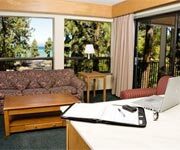 This room also has a full kitchen, dining table and private balcony with lake views. The fully equipped kitchen features a stovetop and oven, microwave, refrigerator, and coffeemaker. Guests will enjoy the convenience of basic pots and pans, dishes, and silverware. 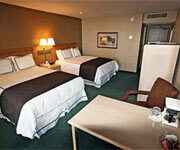 This room is 650-sq.-ft., and has a cozy bedroom with a king bed and TV. The separate living area has a sofa that converts into a queen size bed. The living area has a TV and wet bar. The bathroom has a combination shower/tub and whirlpool jets. This one-bedroom suite has a balcony. 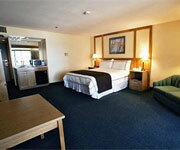 This 440-sq.-ft. option has a bedroom with king bed and TV, a parlor area with a queen size sofa bed and TV. 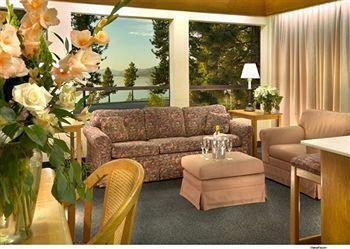 The junior suite offers a bath/shower combination, and a private patio that provides views of Lake Tahoe. 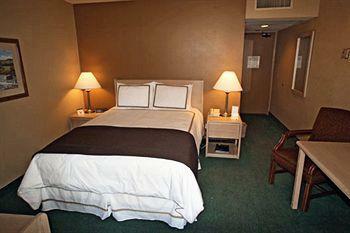 This comfortable 500-sq.-ft. room has a king size bed. There is a wet bar, loveseat, a table and chairs, and a separate vanity and closet area. The bathroom has a tub/shower combo. 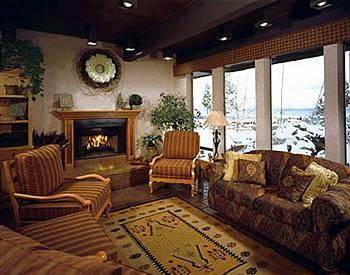 The King Great Room's private balcony looks out onto Lake Tahoe. 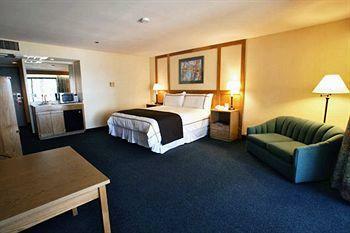 This spacious great room is furnished with two queen beds, a recliner and table with chairs. There is a wet bar. 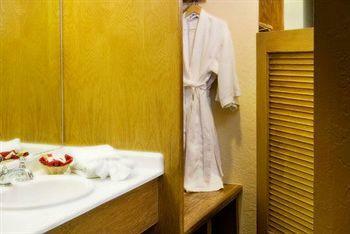 Fashionistas will appreciate the separate vanity and closet area. The choice is yours with a bathtub/shower combination in the bathroom. The double queen great room is on the first floor. It has a patio. Guests will get a view of the pool or the property. This room is about 500-sq.-ft. 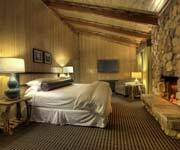 This guestroom comes with two queen beds, a table and chairs, a combination bathtub and shower and a private balcony with Lake Tahoe views. This room comes in at approximately 325 sq. ft.